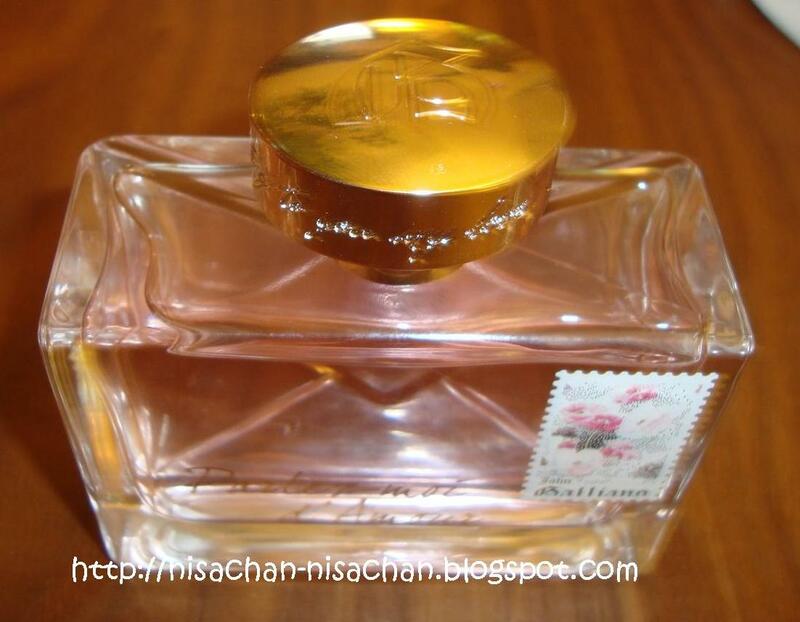 When John Galliano creating this perfume, he created a story as well as scent. A girl, a boy, a kiss and a modern day love affair comes into bloom. the new fragrance captures the essence of young love and longing and finds the precious ingredients hiding in the love letters they write. "I wanted a romantic young rock chick, and Taylor Momsen was perfect to bring this new essence to life as she embodies and lives it.." says John Galliano. The scent is born : Blueberry, ginger, and Bargamot combine with heart notes of the uktra feminime. 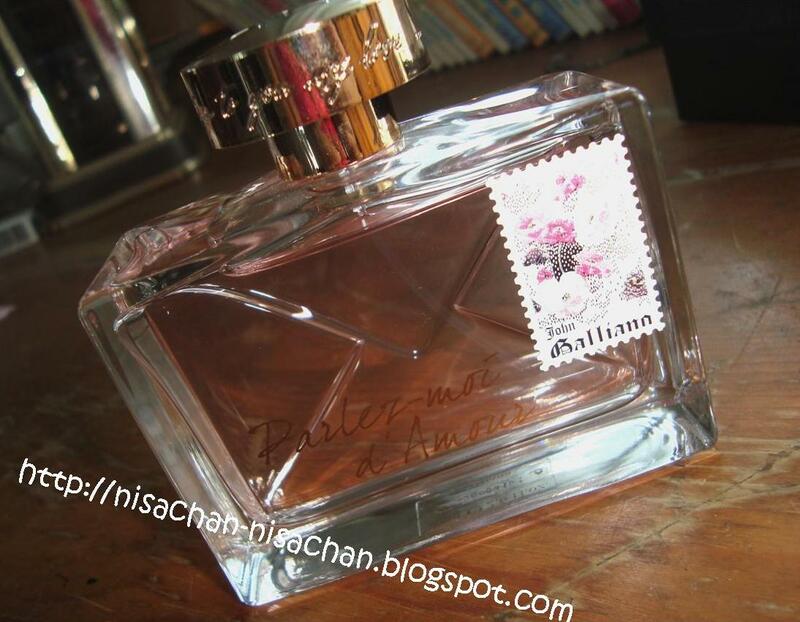 Galliano floral : Jasmine Sambac, Lavender Oil and Turkish Rose. Musk, Patchouli Indonesia and Cypress leaves add to the intrigue. 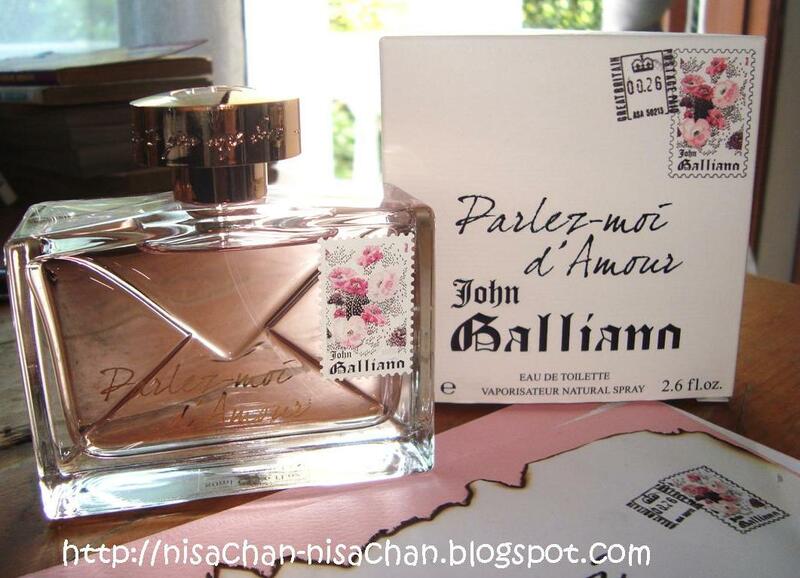 The unexpected combination of musk, fruit and floral produce an unmistakable new allure as Galliano creates a scent that is fun, young and unforgattable. I'm not good at describing the scent of this perfume (terrible), which obviously I really love this perfume. This perfume is a very good staying power! It lasts 5-6 hours! 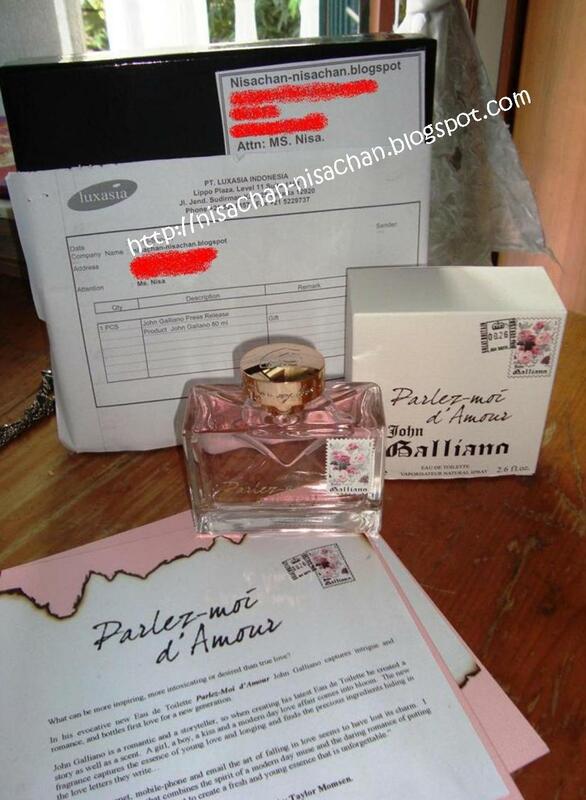 I really recommend this perfume for fragrance lovers :) For you who live in Jakarta, Parlez-moi d'Amour EDT will be available in early October 2011 in SOGO Gandaria City and Central Park.